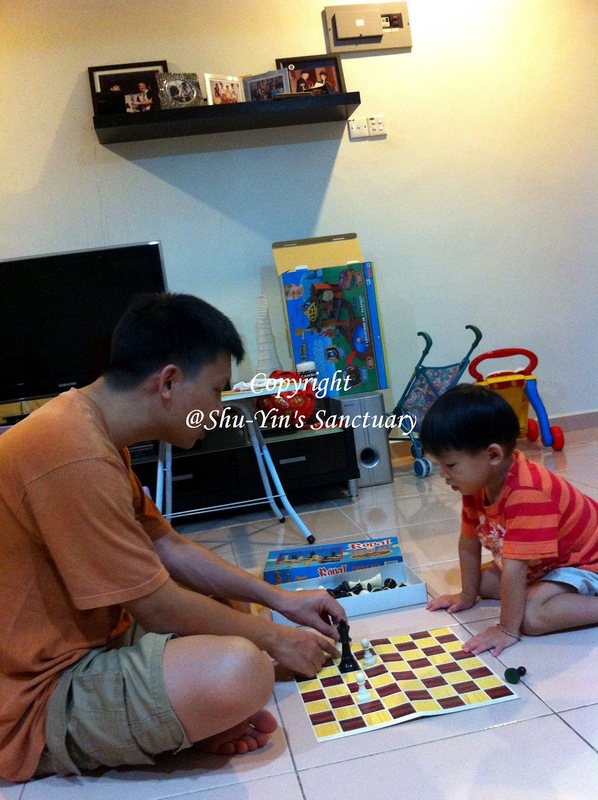 Shern has shown quite an interest in chess since Peter started introducing chess to him about a month ago. Initially, it was just naming of the pieces. 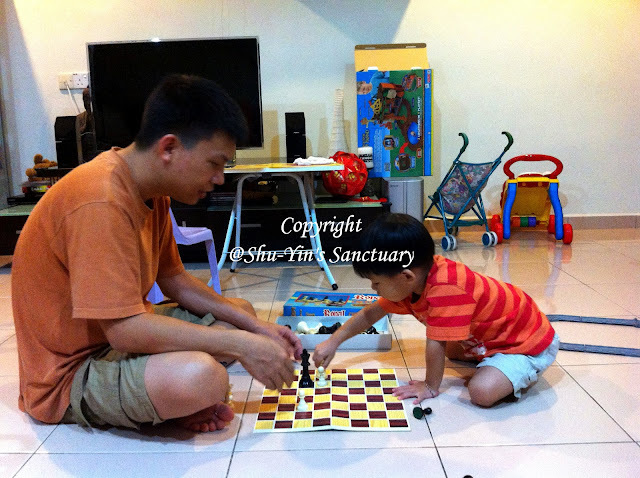 Hubby started off by letting Shern recognize the different chess pieces and he named them with names Shern could understand. 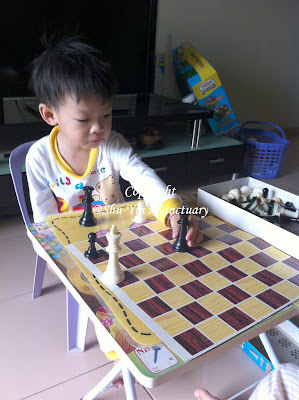 Black Queen became Black Mummy, White King became White Daddy, Knight became Horse, Rook became Castle, Bishop became Koko, Pawn became Baby, etc. 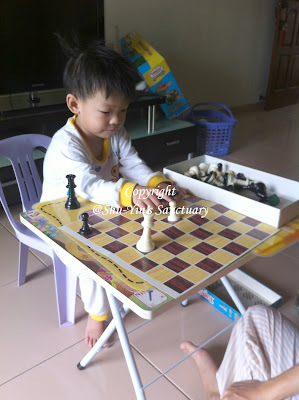 This way, Shern could relate to the pieces and he had fun naming the pieces. 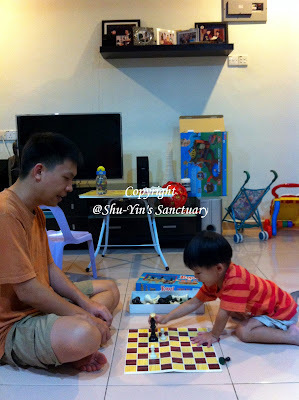 After he could differentiate all the chess pieces, Hubby then started to name them more correctly, telling him Black Mummy is actually Black Queen, and so on. Then Hubby taught Shern how to move only a single piece, which is the Rook (Castle). He explained to Shern that the pieces must move within the chess board and not go out and that the Rook can only move horizontally (and not vertically). Shern seemed to be able to grasp that quite well.